It’s the little things that amuse me! Believe it or not, this is a freezer paper template! Pretty tiny! And this is the prepped piece. Stop the madness! Some of the pieces in the block are smaller than the scraps in my garbage container! …and this is the rest of the flower! It is a little slow-going, but it is starting to look like I am accomplishing something! I have not done much hand-quilting since before the holidays. 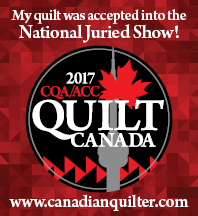 It is time to get hand-quilting again! Bruin joins me every evening as I sit and stitch the (very chilly) evening away! « Slowly filling the vase. So pretty! I am collecting the patterns for this quilt, have yet to start! I am building up courage by working on a simpler design first!